When Oprah Winfrey speaks, the world listens. Health - both emotional and physical - and general wellness are the topics she often focuses upon. She is completely transparent with her own struggles in these areas, allowing herself to be relatable while also inspiring change. She has been ranked the richest African American of the 20th century and the greatest black philanthropist in American history and was once the world’s only black billionaire. In short, Oprah Winfrey is a boss. 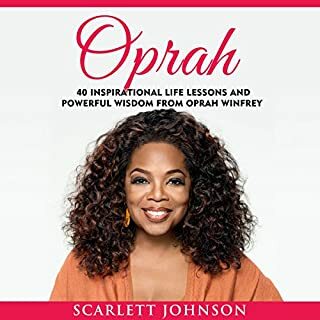 Based on three years of research and reporting, as well as 850 interviews with sources, many of whom have never before spoken for publication, Oprah is the first comprehensive biography of one of the most influential, powerful, and admired public figures of our time, by the most widely read biographer of our era. This program features interviews with Michael Bernard Beckwith, Jon Kabat-Zinn, Caroline Myss, Daniel Pink, Michael Singer, Bryan Stevenson, Eckhart Tolle, Iyanla Vanzant, Elie Wiesel, and Gary Zukav. Chapter introductions are read by Oprah Winfrey. 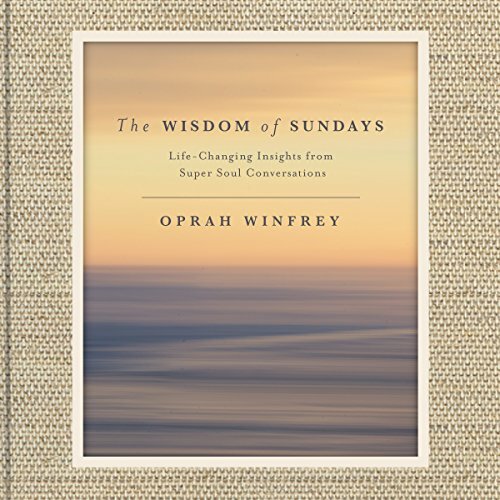 Organized into 10 chapters - each one representing a powerful step in Oprah's own spiritual journey and introduced with an intimate personal essay written and read by Oprah herself - The Wisdom of Sundays features meaningful conversations between Oprah and some of today's most-admired thought leaders. Visionaries like Gary Zukav and John Kabat-Zinn share their lessons in finding purpose through intention and mindfulness. 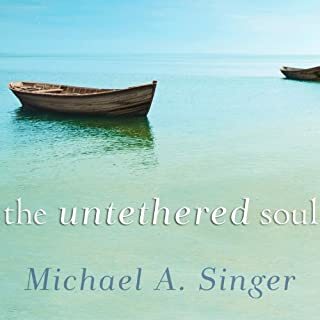 World-renowned teachers like Eckhart Tolle and Michael Singer explain our complex relationship with the ego and the healing powers of love and connection; and award-winning and best-selling writers like Bryan Stevenson and Caroline Myss explore the beauty of forgiveness and spirituality. ©2017 Oprah Winfrey Original interviews from Super Soul Sunday courtesy of Harpo, Inc. (c) 2011-2016 (P)2017 Harpo, Inc. I have listened twice. I really believed no one felt as I do about spirituality. I'm overjoyed to listen to so many others who share my same beliefs and my same questions. The Audible version is a true experience!! This book is a must listen for anyone and everyone! 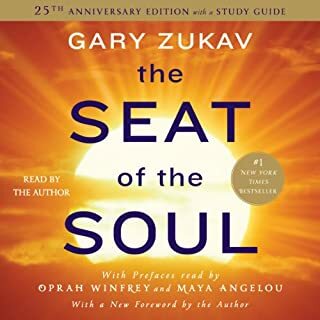 The audio clips included from the Super Soul Sunday interviews added so much depth, variety, and authenticity, that it elevates the audible version of this book to an unbelievable experience!! This is my favorite book experience by far!! There is so much value in the content that I had to limit myself to one chapter every few days. I would often listen several times to one chapter/concept/theme to allow myself to truly absorb the message. It was delightful! I was so inspired and transformed and I truly intend to be a better version of myself every day now!! Life-changing; thank you Oprah!!! I have been looking for &quot;something more&quot; in my life for awhile, and this book is such a beautiful collection of insights that has sent me closer than ever before to finding it. There was a moment, while listening, that I had to press pause and just felt the most amazing, euphoric feeling at how beautiful my soul was while tears streamed down my face (This coming from a person who has experienced zero Self-Love my entire life). Your life and heart will expand as you listen, and carry these insights and lessons with you in your life. This book is so enriching. 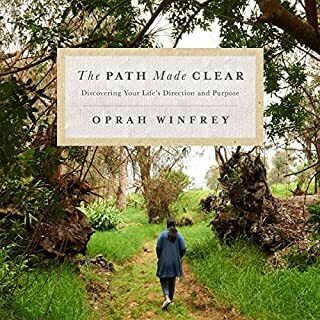 Much like her previous books and interviews, Oprah had given a gift that you will want and need to go back to time and agin to discover something new. There is so much wisdom growth and eternal knowledge in this book that it cannot be retained in just one read/listen — and it’s all the more enjoyable because of that. I enjoyed every section and look forward to the multiple times I will revisit this amazing piece. I wish it was longer! I couldn’t get enough! I absolutely love this book. One of the best. Has a lot of my favorite authors plus I love Oprah! I have a Bachelors degree in Metaphysics and this is what it’s all about. Beautifully put together a thinking kind of book. Well worth a re-read. Oprah has done it again with all of her splendor. 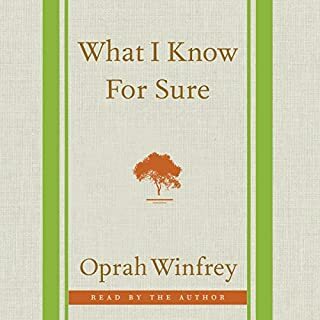 I love how Oprah reads to us and I was surprised when I heard the actual interviews from the Super Soul Sunday. Each chapter has a great pearl of wisdom. It was a pleasure to read it. 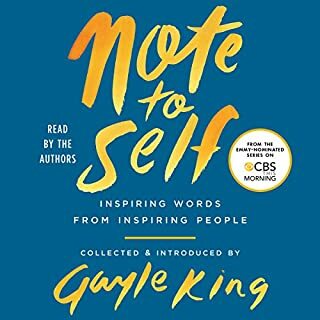 For someone to continue to inspire, motivate, and educate me time and time again, I am so thankful for this audio book because it continues to point me in the direction of my strength and purpose and reminds me to love so deeply, so strongly every opportunity I get. Thank you Oprah for continuing to enlighten yourself as you open doors for so many of us to follow in your footsteps. The content and performance of this book are excellent! This is by far the most significant and influential book I️ have ever read or listened to (save the Holy Bible); and I️ will be reading the works of others that are referenced within this one. I️ will listen to this book several more times and I️ have already told others to get it. I have ordered a print copy, but please do not deny yourself the privilege of LISTENING to and HEARING this book.